The Battles of Lexington and Concord, fought on April 19, 1775, kicked off the American Revolutionary War (1775-83). Tensions had been building for many years between residents of the 13 American colonies and the British authorities, particularly in Massachusetts. On the night of April 18, 1775, hundreds of British troops marched from Boston to nearby Concord in order to seize an arms cache. Paul Revere and other riders sounded the alarm, and colonial militiamen began mobilizing to intercept the Redcoat column. A confrontation on the Lexington town green started off the fighting, and soon the British were hastily retreating under intense fire. 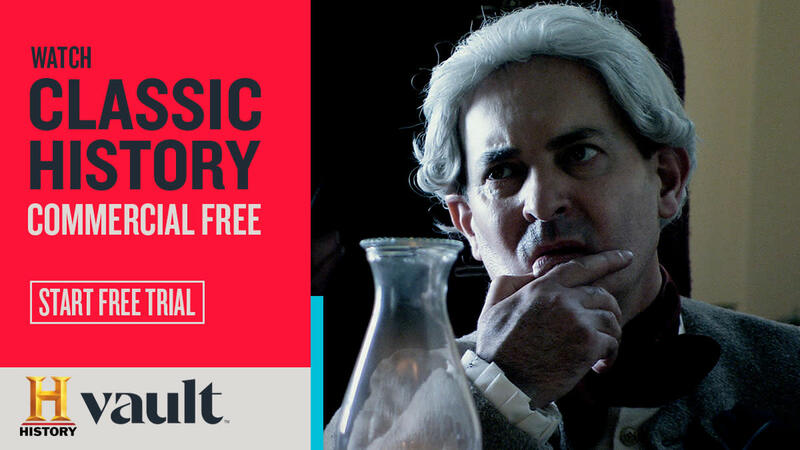 Many more battles followed, and in 1783 the colonists formally won their independence. Starting in 1764, Great Britain enacted a series of measures aimed at raising revenue from its 13 American colonies. 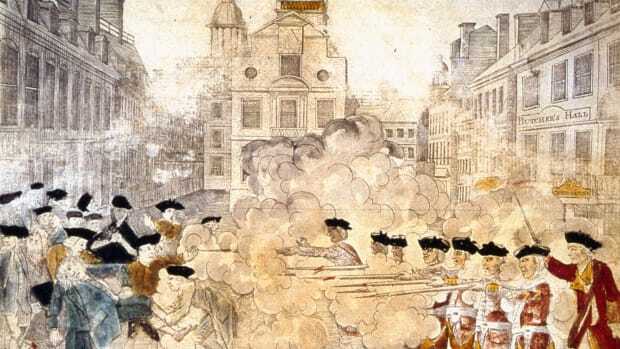 Many of those measures, including the Sugar Act, Stamp Act and Townshend Acts, generated fierce resentment among the colonists, who protested against “taxation without representation.” Boston, the site of the 1770 Boston Massacre and the 1773 Boston Tea Party, was one of the main points of resistance. 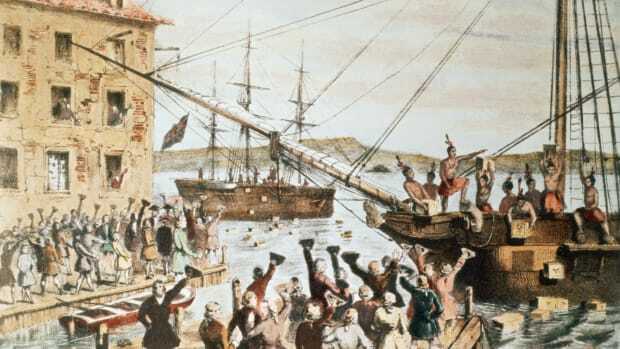 King George III of Britain ramped up the military presence there, and in June 1774 he shut down the city’s harbor until colonists paid for tea dumped overboard the previous year. 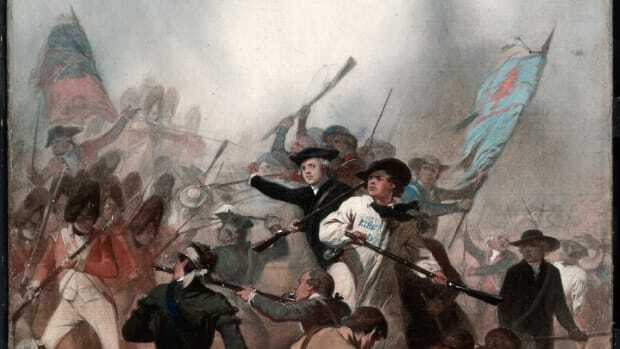 Soon after, the British Parliament declared that Massachusetts was in open rebellion. Did you know? 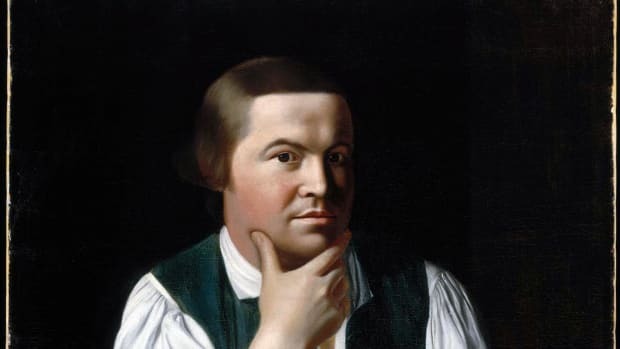 Paul Revere never shouted the legendary phrase later attributed to him (“The British are coming!”) as he passed from town to town during his midnight ride on April 18, 1775. The operation was meant to be conducted as discreetly as possible since scores of British troops were hiding out in the Massachusetts countryside. Furthermore, colonial Americans at that time still considered themselves British. 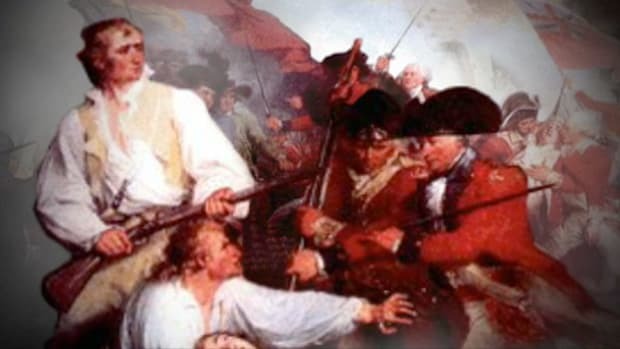 On April 18, 1775, Joseph Warren learned from a source inside the British high command that Redcoat troops would march that night on Concord. Warren dispatched two couriers, silversmith Paul Revere and tanner William Dawes, to alert residents of the news. They first traveled by different routes to Lexington, a few miles east of Concord, where revolutionary leaders Samuel Adams and John Hancock had temporarily holed up. Having persuaded those two to flee, a weary Revere and Dawes then set out again. On the road, they met a third rider, Samuel Prescott, who alone made it all the way to Concord. 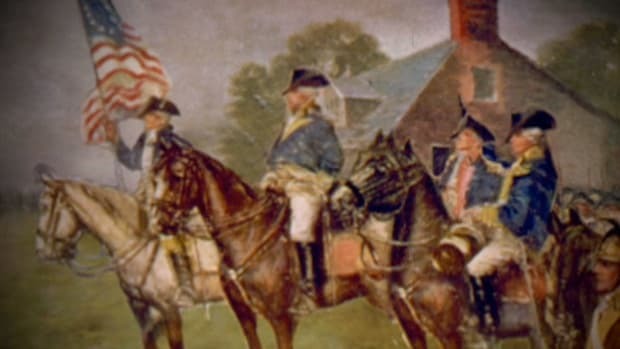 Revere was captured by a British patrol, while Dawes was thrown from his horse and forced to proceed back to Lexington on foot. At dawn on April 19, some 700 British troops arrived in Lexington and came upon 77 militiamen gathered on the town green. A British major yelled, “Throw down your arms! Ye villains, ye rebels.” The heavily outnumbered militiamen had just been ordered by their commander to disperse when a shot rang out. To this day, no one knows which side fired first. Several British volleys were subsequently unleashed before order could be restored. When the smoke cleared, eight militiamen lay dead and nine were wounded, while only one Redcoat was injured. The British then continued into Concord to search for arms, not realizing that the vast majority had already been relocated. They decided to burn what little they found, and the fire got slightly out of control. 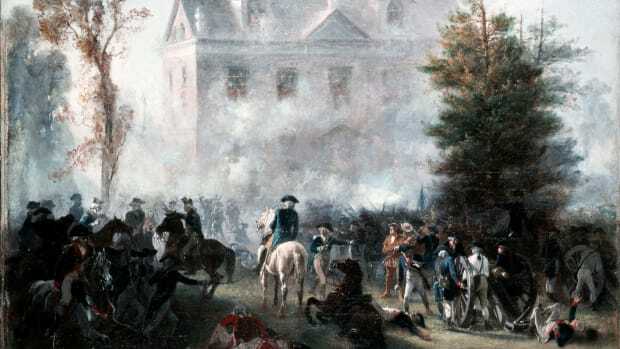 Hundreds of militiamen occupying the high ground outside of Concord incorrectly thought the whole town would be torched. The militiamen hustled to Concord’s North Bridge, which was being defended by a contingent of British soldiers. The British fired first but fell back when the colonists returned the volley. This was the “shot heard ‘round the world” later immortalized by poet Ralph Waldo Emerson. After searching Concord for about four hours, the British prepared to return to Boston, located 18 miles away. 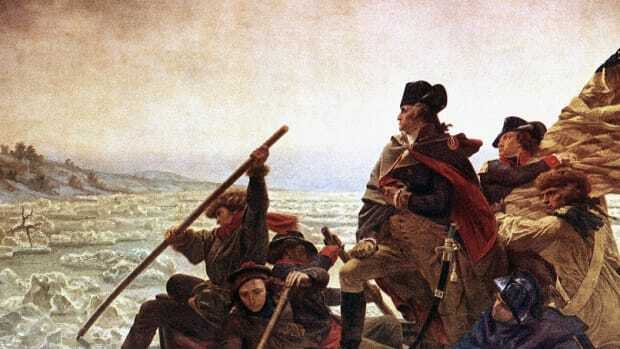 By that time, almost 2,000 militiamen—known as minutemen for their ability to be ready on a moment’s notice—had descended to the area, and more were constantly arriving. At first, the militiamen simply followed the British column. Fighting started again soon after, however, with the militiamen firing at the British from behind trees, stone walls, houses and sheds. Before long, British troops were abandoning weapons, clothing and equipment in order to retreat faster. When the British column reached Lexington, it ran into an entire brigade of fresh Redcoats that had answered a call for reinforcements. But that did not stop the colonists from resuming their attack all the way through Menotomy (now Arlington) and Cambridge. The British, for their part, tried to keep the colonists at bay with flanking parties and canon fire. 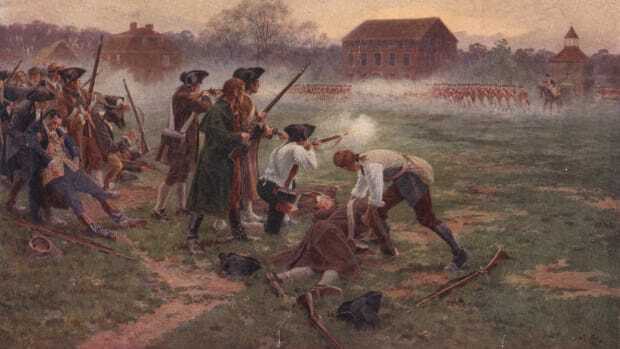 In the evening a contingent of newly arrived minutemen from Salem and Marblehead, Massachusetts, purportedly had a chance to cut off the Redcoats and perhaps finish them off. 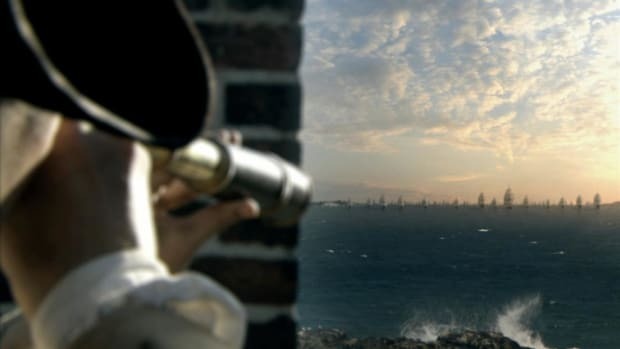 Instead, their commander ordered them not to attack, and the British were able to reach the safety of Charlestown Neck, where they had naval support. The colonists did not show great marksmanship that day. 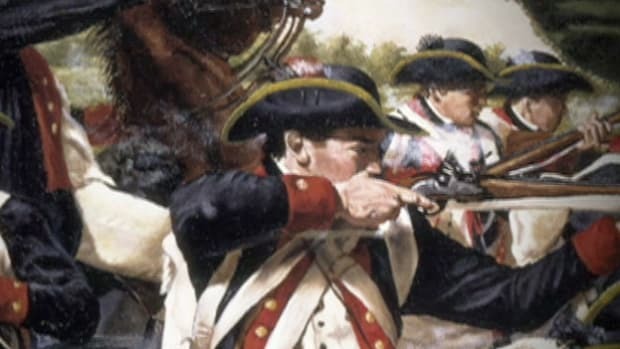 As many as 3,500 militiamen firing constantly for 18 miles only killed or wounded roughly 250 Redcoats, compared to about 90 killed and wounded on their side. Nevertheless, they proved they could stand up to one of the most powerful armies in the world. News of the battle quickly spread, reaching London on May 28. By the following summer, a full-scale war of independence had broken out.